Prime Minister Joseph Muscat on Monday said criticism levelled at the country by the Council of Europe’s Group of States against Corruption (Greco) was partly a direct result of the “irresponsible way” the Opposition had portrayed Malta in international fora over the past years. Greco warned in its April report that Malta’s criminal justice system is at risk of paralysis unless a redistribution of responsibilities between the police, the Attorney General’s office and inquiring magistrates took place. Addressing a parliamentary debate about the Greco report, Dr Muscat said the government would be looking at the report objectively. He said the report would be accepted constructively and the government would not attack or undermine those who compiled such reports. Dr Muscat said years ago, one of the most quoted Greco reports was when they said Malta’s judiciary resembled a family jamboree. The Prime Minister said much of the Greco report was based on open sources like media reports, which were “rightly or wrongly” taken as facts. He said that objectively speaking, it needed to be recognised that transnational institutions gave more weight to what was said by civil society than the government. Dr Muscat appeared to take a veiled pot-shot at Dutch MP Pieter Omtzigt. Mr Omtzigt has been tasked by the Council of Europe with drawing up a report about the assassination of journalist Daphne Caruana Galizia as well as the various corruption allegations being faced by the government. He said it was clear that certain Council of Europe rapporteurs had clear agendas. The Prime Minister said one could easily see from what they said on Twitter where they were heading with their conclusions. Dr Muscat mocked a recent statement by the PN distancing itself from an appeal by Greens MEP Sven Giegold for Article 7 proceedings against Malta. Article 7 empowers the EU to suspend certain rights from member states that did not respect the EU’s common values. He said that if the arguments being fed to this MEP by certain members of the Opposition were true, then it was obvious that Article 7 action would need to be taken against Malta given the skewed portrayal. Dr Muscat said the PN’s statement dissociating itself with Mr Giegold’s statement was an acknowledgment that the propaganda being pushed by some of its member was untrue. 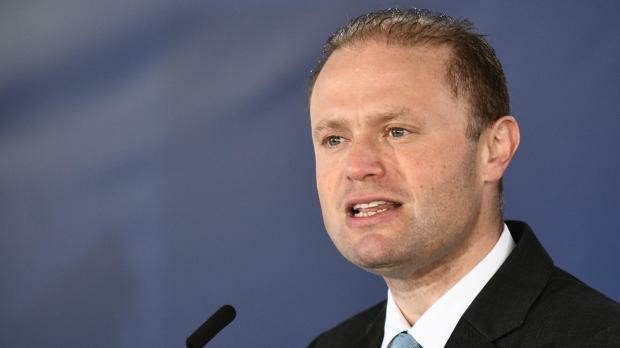 “The Opposition is rejecting arguments pushed by some of its exponents”, Dr Muscat said. He said the media was very powerful and was free to say what it wanted, which was a good thing. The Prime Minister said Malta had been portrayed as a dysfunctional democracy where no one was free to speak, with a despotic and dysfunctional judiciary. He said Malta was made out to be a country where a court decision declaring the Opposition deserved two extra seats in Parliament would be ignored by the government. Dr Muscat said this in reference to a 2016 Constitutional Court decision granting the PN two extra seats during the last legislature due to a mistake made in the vote counting process. The Prime Minister said he had held back from criticising the Court’s decision. He warned that the judgment would one day lead to political responsibility. Dr Muscat said it had opened up a Pandora’s box which would one day create pandemonium. Former Opposition leader Simon Busuttil accused the Prime Minister of having worked at chipping away at Malta’s democracy from the very day he was sworn in. Dr Busuttil questioned how institutions left by the British many years ago had only become paralysed under Joseph Muscat. He said the Greco report was one of many that had concluded the law in Malta was not being applied to everyone. Dr Busuttil said the point that had been made by the PN for many years was also being made in these reports. The PN MP said the government blamed everyone but itself for the failures being identified in the Greco report. He said the country’s institutions, left by the British, had worked under successive government, be they Nationalist or Labour. It was Joseph Muscat who had paralysed them, he accused. Dr Busuttil said the Greco report concluded the country’s institutions had failed the crucial test of acting against those implicated in high-level corruption. He said these same institutions depended on the government for appointments and promotions. He added that even the best Constitution was worthless when faced with a corrupt government that did not allow it to work.